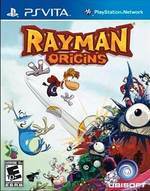 Simply put, Rayman Origins is one hot box of rocks. Arguably, it is PlayStation Vita's best launch game, a content and graphically rich experience that serves as a loyal handheld companion, perfectly suited for long or short play sessions. The notion that imaginative visuals and matinee-priced entry fees need be mutually exclusive is one Rayman Origins continues to dispel as hour after hour of gaming joy continue to ramp up in both sheer scope and in grand gratification. 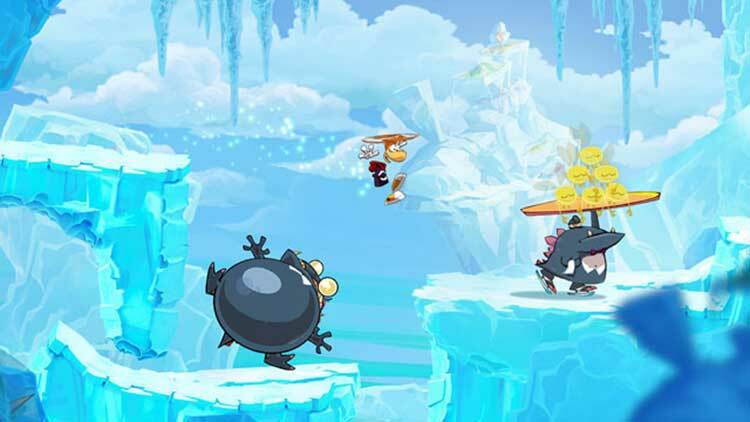 Rayman Origins takes on a genre mastery of ground work laid down decades ago and elevates it to astronomical new standards. It's a spectacular living painting that's as much fun to play as it is to look at, and it's a total triumph. Rayman Origins reminds me why 2D-platform games used to be so popular, and why they are still among my favorite games of all time. It’s quite refreshing to see a modern take on the genre, and to see how well it translates on Sony’s new handheld device. It's a shame about the lack of multiplayer, but Rayman Origins is still 2D platforming at this console generation's finest. This is a huge, deep, challenging, artfully crafted masterpiece that is now portable, which opens the door for even more gamers to get lost in its goofy and delightful world. If you've somehow missed Rayman Origins in last year's crowded holiday release season, and you plan on getting a PlayStation Vita, make sure you include this in your launch day purchases. This game is too lovely to be missed. You won't find many other changes to Rayman Origins on the Vita because this is almost the same game that was released on consoles last year. Ubisoft has avoided the temptation to shoehorn unnecessary touch-screen or motion controls into the experience, carefully preserving what made this game such a delight in its original form. If you're a Vita owner who hasn't played Rayman Origins yet, this handheld port provides a terrific opportunity to change that fact. There is no doubt that the omission of multiplayer is somewhat saddening, but given the PS Vita version is meant for those on the go, many will not miss this feature, although I did somewhat. 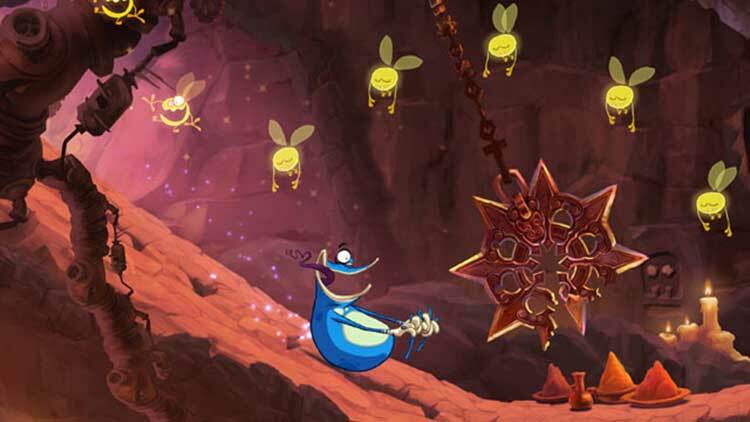 Rayman has made the transition to the world of portable gaming in style, and if you are picking up a PS Vita during the official launch, or sometime there after, you can do no wrong by picking up this title at the same time. If you're new to the game and have no particular interest in playing cooperatively with anyone, ever, then this version is entirely worthwhile. So much of what made Rayman: Origins great on consoles--from the glorious visuals and music on down to the wonderfully crafted gameplay--translate just about perfectly on the Vita. 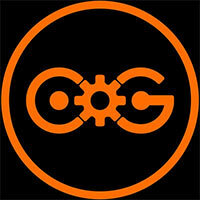 Most importantly, the game is still tons of fun from top to bottom, whether you're playing at home or on the go. At a time when games seem to offer a whole lot of everything, Rayman Origins stays focused on pure platforming pleasure, and it delivers. Yes, it can be too tough for some, but we’re betting even the more casual players will soon find themselves hopelessly addicted to the finely tuned challenges on offer here. Play it for the love of platforming, or pick it up as a palate cleanser between bouts of this fall’s bigger releases. Rayman Origins is something truly special in today's gaming world. Not only did Ubisoft successfully re-imagine a classic and endearing mascot, but they brought him back in a 2D platformer that couldn't even slightly be classified as outdated. With so many games nowadays clinging to dark humor and violent pleasure, it's infinitely refreshing to see a game like this come out of the woodwork. It’s that type of nonsensical fun throughout that makes Rayman Origins one hell of a good time. But it’s the visuals and crisp gameplay controls over Rayman’s platforming that make the game really stand out among other platformer titles. Rayman certainly gives Mario a run for his coins. 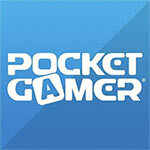 All combined make Rayman Origins one of the best Vita launch titles. With its well thought-out level designs, lengthy adventure and mouth-watering graphics, there's honestly very little to complain about. The lack of multiplayer is a bit of a downer, but the addition of Ghost Mode does a good job of giving players something competitive to sink their teeth into. As amazing as Rayman Origins was on the home consoles, it's every bit as impressive on Vita. Con una jugabilidad apta para todos los públicos, pero aún así sintiéndose cómplice de los usuarios más tradicionales, el proyecto de Michel Ancel se convierte en un imprescindible para todos aquellos que no sólo se sientan atraídos por el género plataformero, sino que también se consideren amantes de los videojuegos. Una coreografía jugable perfecta y un diseño artístico que deja sin habla construyen un plataformas de nueva generación que reclama el trono perdido por el género. Rayman Origins es una pequeña joya que merece ser jugada por cualquiera que disfrute de los videojuegos, independentiemente de su gusto o ideas preconcebidas de los plataformas. Para los poco dados al género, es una excelente escuela de introducción y aprendizaje que puede enseñar a amarlo, dotado de un enorme ritmo, gran variedad y una curva de aprendizaje que mantiene al jugador interesado en la partida en todo momento, ofreciendo un reto adecuado, difícil a veces pero siempre superable. Es una pena que se haya perdido el multijugador por el camino, pero aún así Rayman Origins no sólo es el mejor juego de plataformas disponible actualmente para PlayStation Vita, sino también uno de los mejores juegos para la recién estrenada portátil de Sony y un brillante alegato en favor de las dos dimensiones. 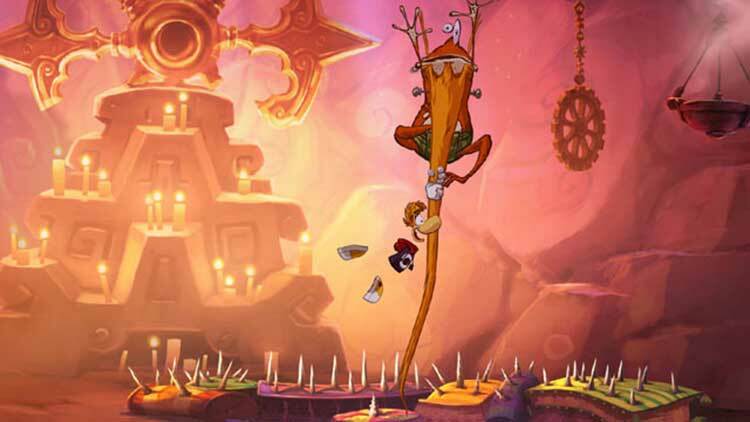 Trotzdem ist Rayman Origins nach wie vor ein ganz vorzügliches 2D Jump'n'Run, das zunächst mit seiner großartigen Grafik und schnell auch mit seiner sauberen Spielbarkeit und den gelungenen Leveldesigns überzeugt. Der herrliche Grafikstil kommt auf dem feinen Vita-Display ganz hervorragend zur Geltung und sorgt immer wieder für anerkennende Ahs und Ohs. Was für leuchtende Farben! Was für ein knackig scharfes Bild! Was für ein Spaß! Es ist schon erstaunlich, wie sehr die Rayman-Kulissen vom leuchtstarken OLED-Bildschirm profitieren. Auch spielerisch hat Ubisofts Maskottchen meine Augen zum Leuchten gebracht. In kaum einem Jump-n-Run der letzten Jahre steckt so viel gute Laune und klassischer Hüpfspaß. 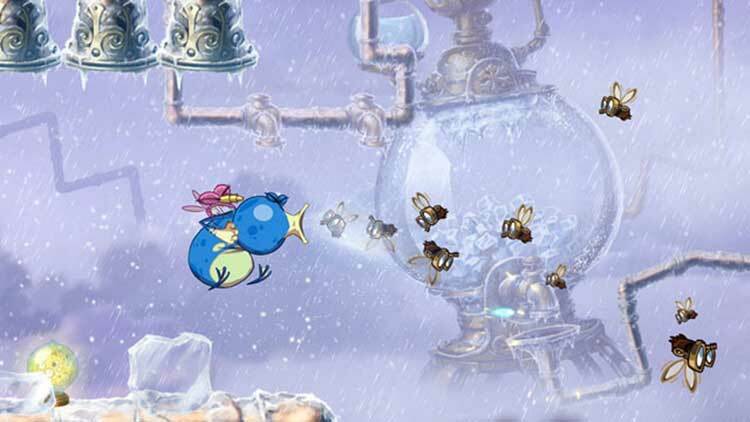 Bourré d'idées, quitte à en emprunter pas mal de-ci de-là, Rayman Origins rassure sur l'avenir des plateformer 2D et surtout d'une volonté quasi viscérale de bien faire. Et ce malgré une jouabilité parfois perfectible et l'absence incroyable du mode multi ! Le retour de la tombe laisse parfois quelques séquelles, qui n'empêchent pas ce nouveau corps de se monter éclatant. Parce qu'elle se retrouve privée de son mode coopératif, la version PSVita de Rayman Origins ne s'adresse qu'à ceux qui n'auront pas la possibilité de découvrir le jeu sur un autre support. Dommage, car le soft reste excellent, très inventif et superbement réalisé. Les quelques ajouts proposés sont toutefois trop légers pour compenser l'absence de convivialité inhérente à cette mouture portable. Os visuais em jeito de desenho à mão repletos de cores são um casamento perfeito para o novo ecrã da Vita e ao longo da jornada são inúmeras as delícias. 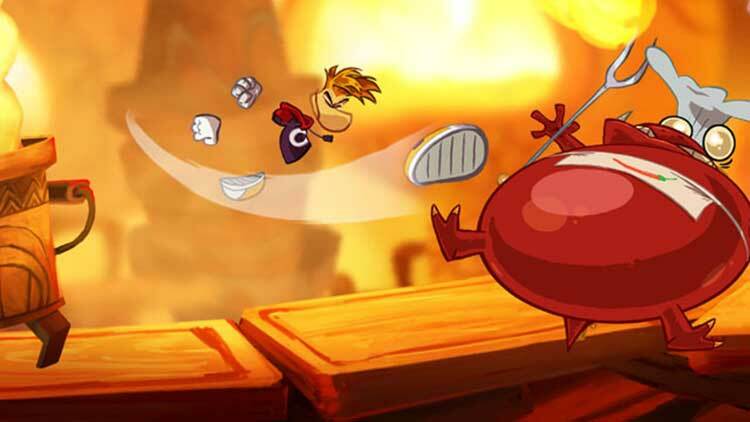 Mesmo não fazendo nada de novo, se querem um título imediato mas repleto de profundidade e longevidade, não se façam rogados, Rayman: Origins é uma prenda que merecem dar a vocês mesmos e à vossa Vita. Nonostante quest'ultima penalizzi un po' il voto finale, anche Rayman Origins è una piccola-grande gemma, un tesoro prezioso che gli appassionati dei platform vecchio stile dovrebbero custodire con gelosia. La domanda è: vale la pena acquistare la versione PlayStation Vita anche se si è giocato con quelle precedenti? Probabilmente no, ma veder girare questo gioco su una console portatile e potersi divertire in qualsiasi luogo senza vincoli, è una gioia per gli occhi e per il cuore. Michel Ancels sällsamma värld är så märkvärdig, så levande och så underbar att jag lyckades sitta och le som ett fån under en hel flygtur nyligen så till den milda grad att jag skrämde slag på medpassageraren som troligen trodde jag var psykopat. Detaljerna som sagt. Och musiken. Och ljudet. Och banvariationen. Klar köprekommendation, helt enkelt.